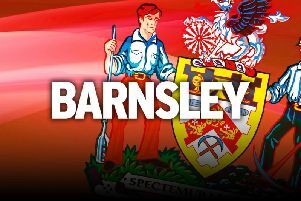 Barnsley boss Jose Morais has confirmed a “duel” between two players resulted in Nick Townsend’s broken finger. As reporter in yesterday’s Star, the 23-year-old goalkeeper has been ruled out for the rest of the season after a training-ground incident. Reds manager Jose Morais. Picture Tony Johnson. It is believed the scuffle was between Townsend and Dimi Cavare - a detail Morais omitted to reveal. Ahead of a hotly-anticipated South Yorkshire clash with rivals Sheffied United, he said: “It was a duel between two players that resulted in him breaking his finger. Meanwhile, Morais is looking for “seven positive results” to keep Barnsley in the Championship. Results have gone against the Reds recently, with Birmingham City moving five points clear after three successive wins - albeit with Morais’ side having a game in hand. However, the South Yorkshire side can only focus on themselves and with 21 points still up for grabs anything can happen. Morais added: “If we can get seven positive results then we will achieve our goal. “Being in the bottom three is nothing new. “We’ve been there before, moved out of the situation and are now in the bottom three again. We have seven games to go and we believe we can reach our goal. Their first chance to get points on the board comes against play-off contenders United tomorrow at Oakwell. “I’m curious to see the atmosphere here on Saturday, not only because it’s a derby or the proximity of the cities but I want to see the excitement and the energy from our fans. The Blades’ visit coincides with Weston Park Day at Oakwell. Weston Park is a cancer charity which helps over 2,300 patients in the town. Morais said: “It’s a fantastic charity and I’m very happy to support it.